NYC, 02/06/2019, 7:00PM. 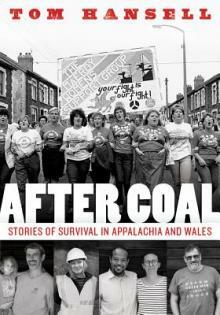 After Coal: Stories of Survival in Appalachia and Wales. Tom Hansell, an award-winning documentary filmmaker, is the author of After Coal: Stories of Survival in Appalachia and Wales, published by West Virginia University Press. It is a companion volume to his 2016 film of the same name. Hansell’s work has been broadcast on public television and screened at international film festivals. He began his career at the Appalshop media arts center, and he currently teaches at Appalachian State University.